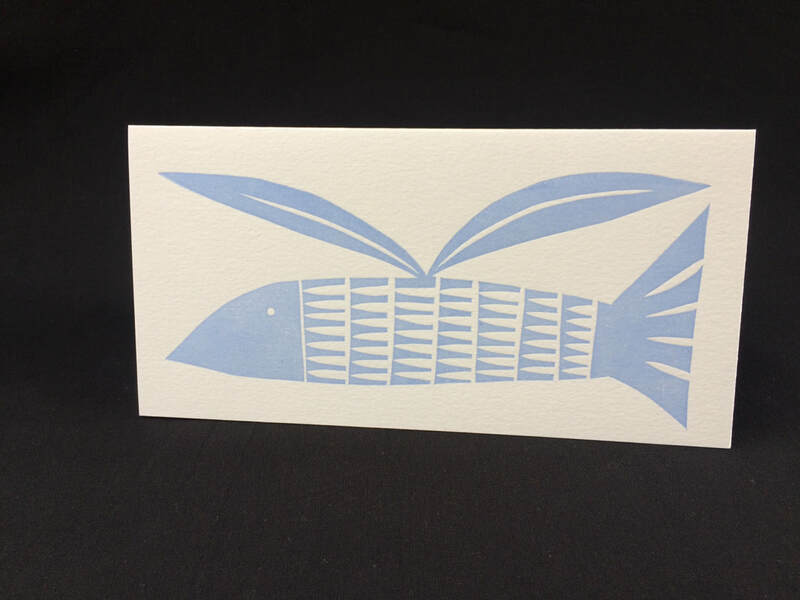 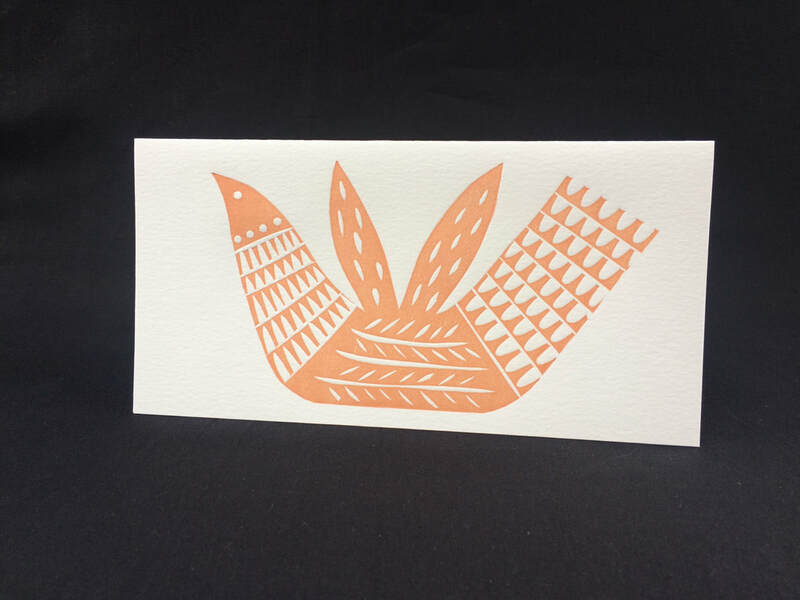 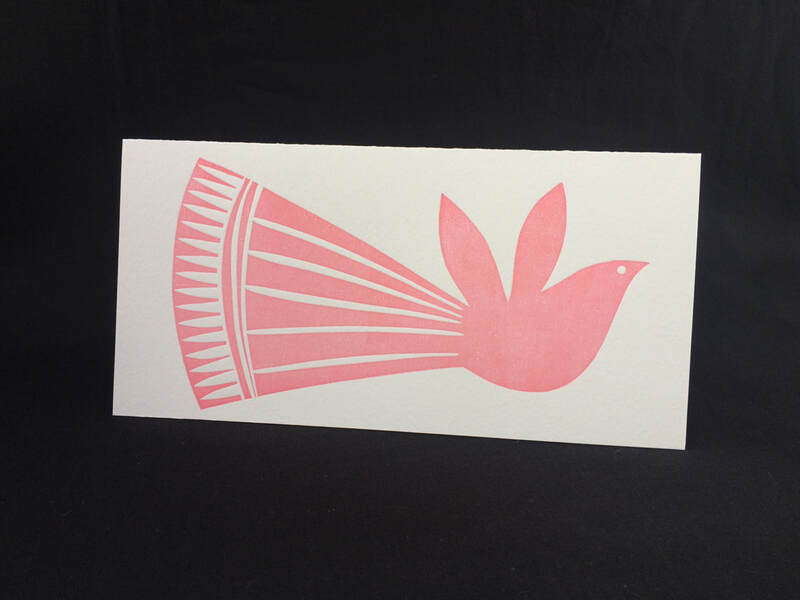 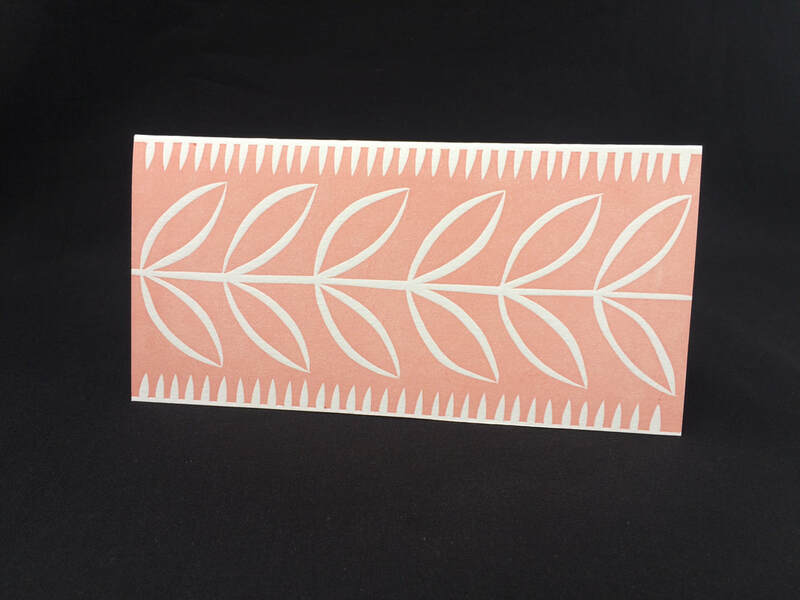 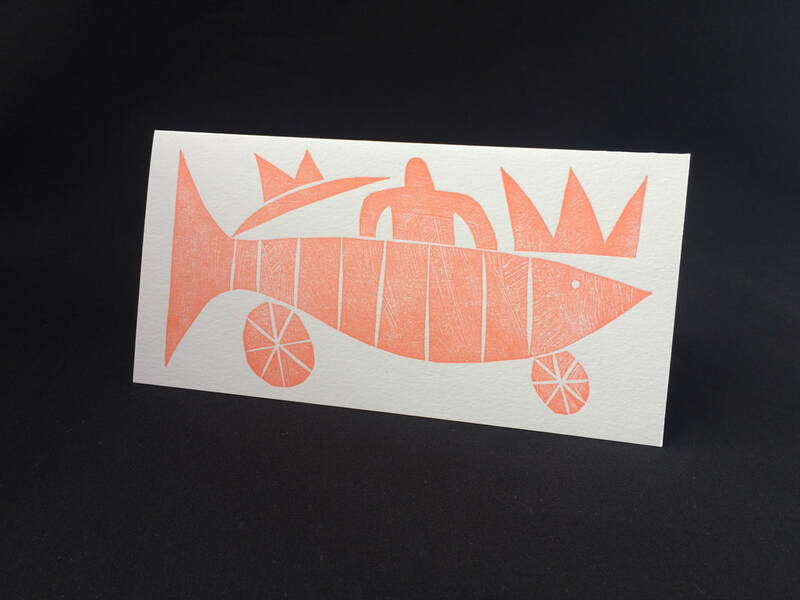 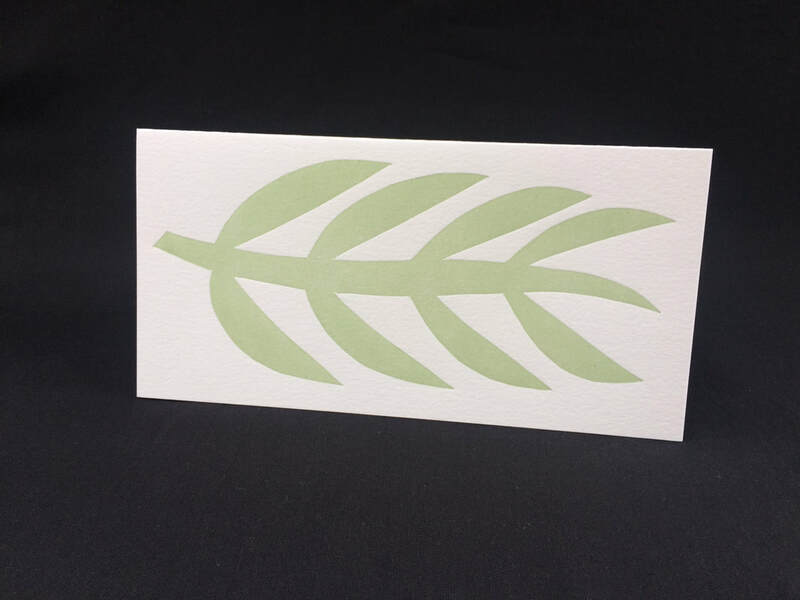 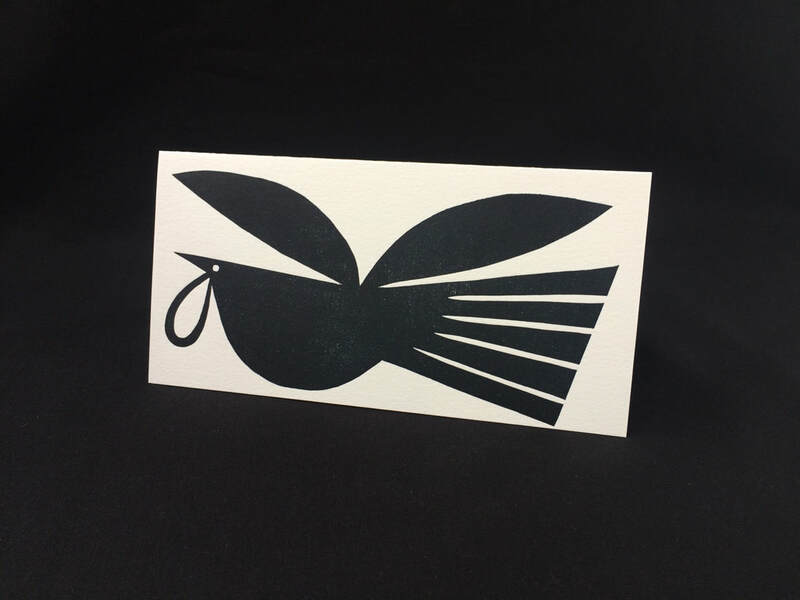 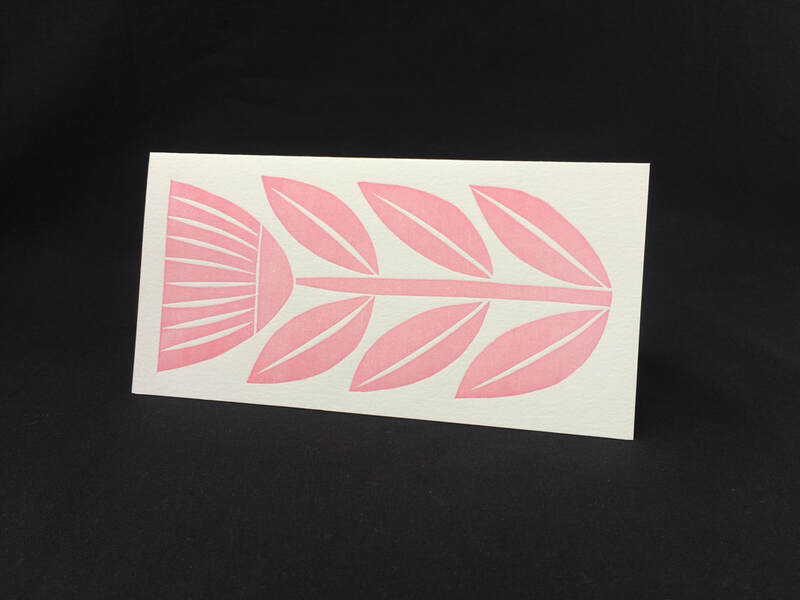 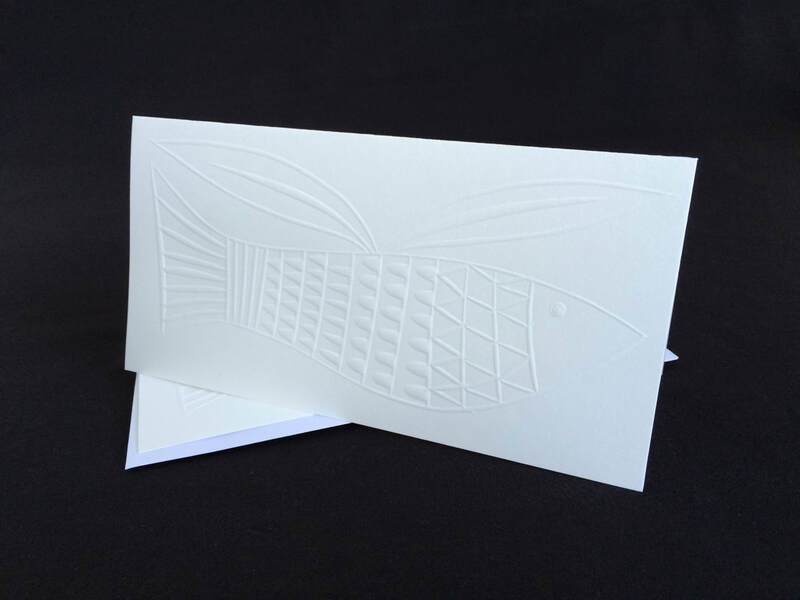 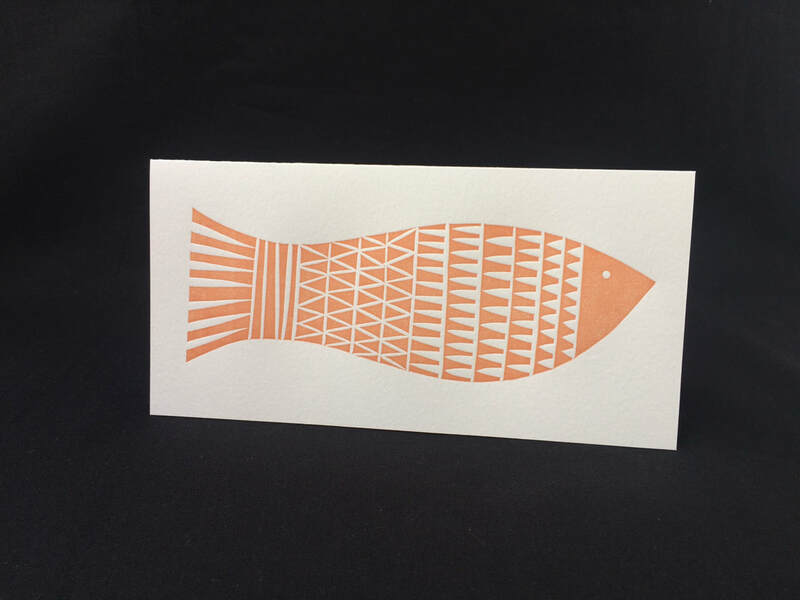 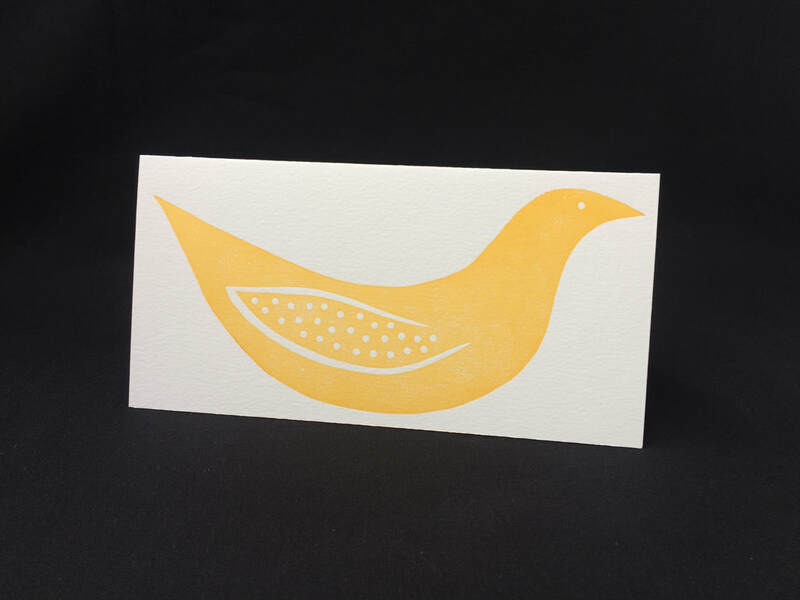 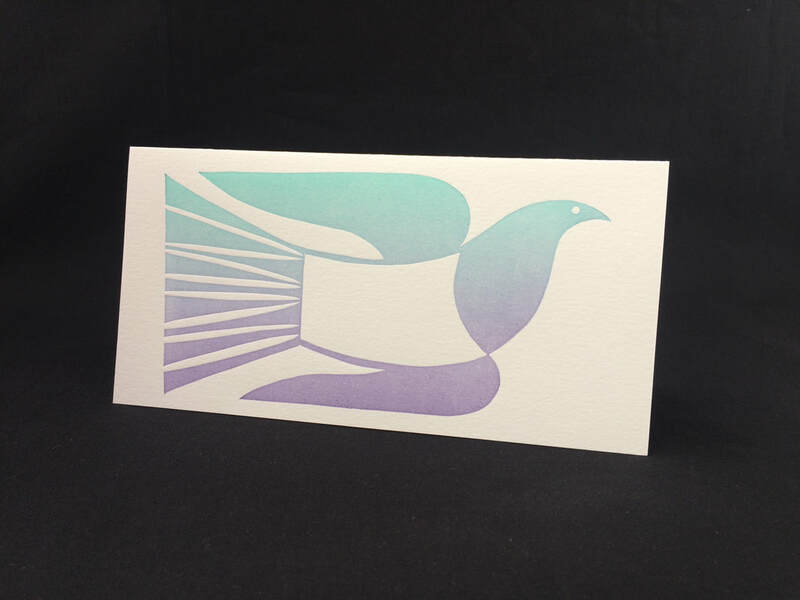 Original hand printed woodcut greeting cards 105 X 210 mm. 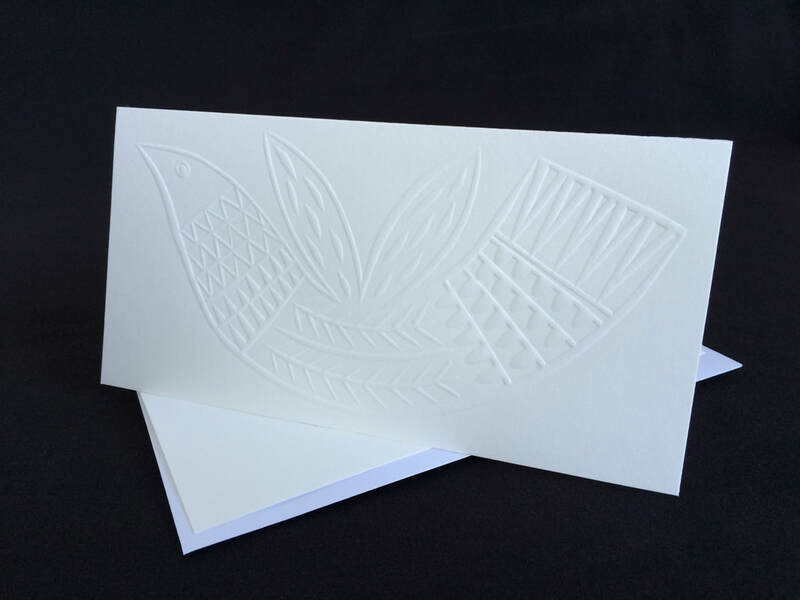 All carved by hand, rolled with ink and printed from wood block to paper, individually pulled through the printing press. 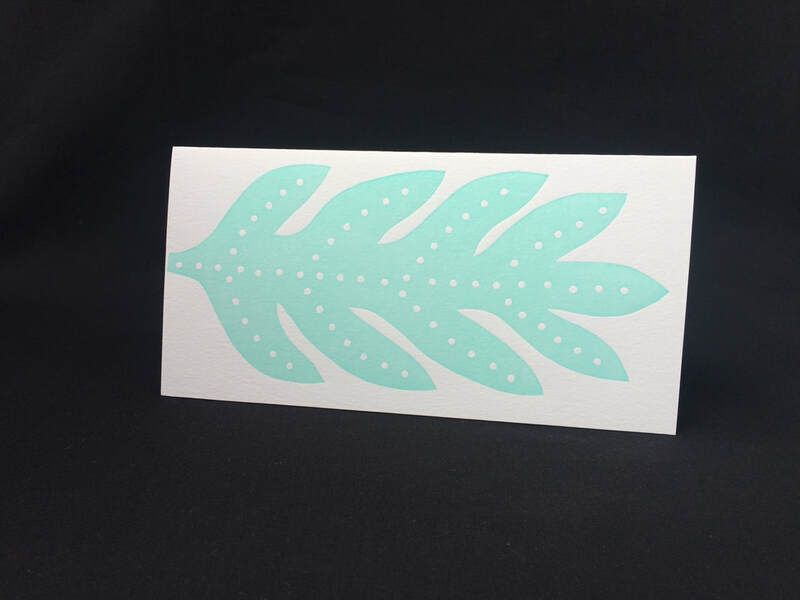 Much care, time and thought goes into the creation of each unique and hand crafted print.